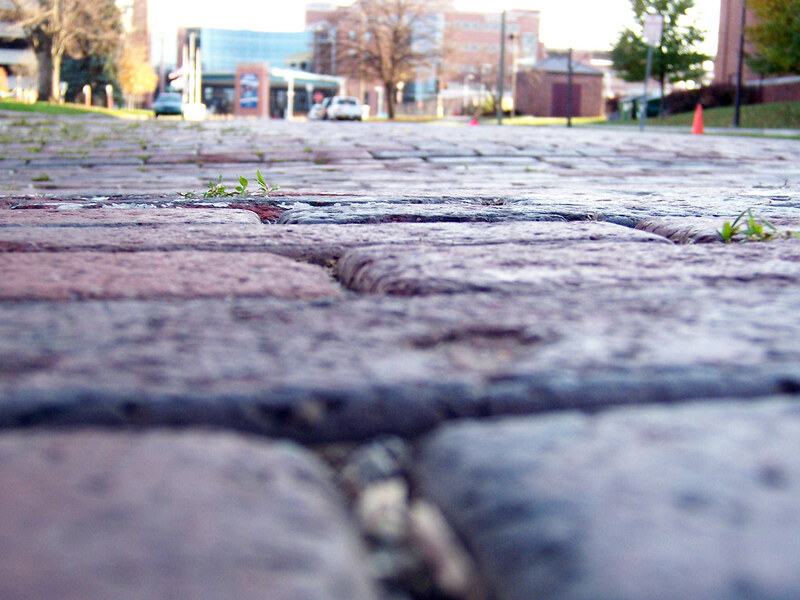 You can still find many rumbly brick streets in the old parts of South Bend. This lonely block of Main Street connects Leeper Park to Memorial Hospital. It once ran south into downtown, but the hospital long ago oozed across the road. Hospitals have a way of doing that. My brother once lived on this block. One by one, Memorial Hospital bought the houses, razed them, and paved a giant parking lot. My brother’s house was the last one to go. The fellow from whom he rented wouldn’t sell, so the hospital simply waited until he passed away. Kodak Z730 Zoom, 2009. “Captured” is an occasional series where I show a photo and tell a short story about it. This was the first ever Captured photo, from February of 2010. I’m rerunning it today to give me more time to get ready for my wedding this Saturday!